Frick Services, Inc. - Locations: Wyatt. 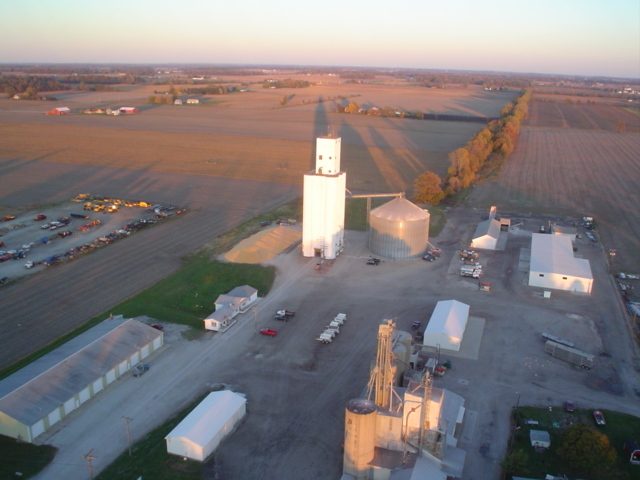 Frick Services, Wyatt Indiana is a full Agronomy and Grain facility. The original grain head house was constructed in 1968 with additional grain storage capacity of 350,000 bushels constructed in 2000. Total storage space that Wyatt offers to grain customers is over 1 million bushels. This includes flat storage in nearby Bremen, Indiana and the ability to temporarily use ground storage. The facility has drying capacities sufficient to met the fall drying needs of area farmers. Agronomy products and services are offered to meet all needs that area farmers have to produce their crops. The Wyatt facility offers dry and liquid fertilizer, Asgrow and DeKalb seeds, and crop protection chemicals. Agronomic services focus on using the right amount of inputs in the right place. Custom application is offered both as straight rate and as variable rate. Pro Tech Partners and related soil sampling and scouting services focus on fine tuning recommendations to farmers so that inputs, including seed and fertilizers, are applied only as needed to produce an excellent crop. The Wyatt facility services its customers with twelve full time employees who have extensive experience in Agronomy and Grain.